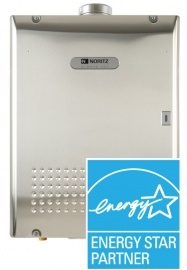 Heating Ontario is proud to install, service and repair Noritz tankless water heaters. Noritz tankless water heaters will not only cut down on energy costs, they are an eco-friendly option for homeowners looking to “green” their homes. For more information, please fill out the form below, and a Heating Ontario Noritz tankless water heater expert will be in touch with you shortly.